Botoşani and CSM Iaşi face at Stadionul Municipal, in a match for the 18th round of the Liga I. 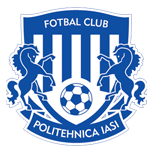 In the last league head‑to‑head, played in 17‑08‑2018, CSM Iaşi got a home win by (2‑1). At this stadium, the head‑to‑head history indicates total balance between these two teams, since there is a record of 4 draws and 2 wins for each team in the last 8 matches. Sure enough, the last time these teams met at this stadium was on 13‑03‑2018, in a match for the Cupa României, Botoşani only reached the win by (3‑2), after extended time. The goals of the match were scored by B. Golubović (89' ), M. Roman (95' ) and M. Axente (111' ), for Botoşani, and by Andrei Cristea (90' and 107' ), for CSM Iaşi. In this match the home advantage may play an important role, since CSM Iaşi presents significant differences between home and away performances. The home team is currently in the 9th position of the league, with 20 points won, after 4 wins, 8 draws and 5 losses. In the penultimate match, they won in a home match against CS U Craiova, by (2‑1). In the last match, they tied in an away match against Astra, by (1‑1). This is a team that usually maintains its competitive levels in home and away matches, since in the last 30 matches they register 3 wins, 7 draws and 5 losses in away matches; against 5 wins, 5 draws and 5 losses at their stadium. 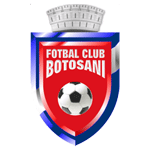 For the league, Botoşani won 11 points out of 24 possible points, after 3 wins, 2 draws and 3 losses in the last 8 home matches. They haven't been very strong defensively, since they have suffered goals in 9 of the last 10 matches, but their offense has scored frequently, since they have scored goals in 9 of the last 10 matches for this competition. In their home matches there is a tendency for goals, since 7 of the last 8 matches for this competition have ended with Over 1,5 goals. They have conceded the first goal in 8 of their 17 matches for this competition, and have only turned the score around in 1. there is 1 period that stands out in the last 9 home matches for all competitions: they have scored 4 of their 9 goals between minutes (76'‑90'). Confirmed Lineup: E. Pap, A. Dumitraș, A. Patache, A. Miron, A. Burcă, E. Papa, L. Karaboué, L. Fülöp, C. Golofca, D. Fabbrini, M. Roman. The away team is currently in the 11th position of the league, with 18 points won, after 5 wins, 3 draws and 9 losses. In the penultimate match, they lost in a home match against Steaua Bucureşti, by (1‑2). In the last match, they tied in a home match against Sepsi, by (1‑1). This is a team that usually makes good use of the home advantage, stronger with the help of its supporters, since in the last 30 matches they register 2 wins, 2 draws and 11 losses in away matches, with 8 goals scored and 29 conceded; against 4 wins, 4 draws and 7 losses at their stadium, with 15 goals scored and 22 conceded. In the last 8 away league matches CSM Iaşi has a record of 2 wins, 1 draw and 5 losses, so they have won 7 points out of 24 possible. In their away league matches there are a few frequent results at half‑time: 1‑0 (4 out of 8 matches) and 0‑0 (3 out of 8 matches). Defensive consistency hasn’t been their best feature, as they have conceded goals in 9 of the last 10 matches for this competition. In 17 matches for this competition, they have conceded the first goal 10 times and have only turned the score around in 1. In the last 20 away matches for all competitions there is 1 period that stands out: they have conceded 14 of their 33 goals between minutes (76'‑90'). Confirmed Lineup: D. Rusu, A. Sin, Adrià Gallego, M. Mihalache, C. Frăsinescu, D. Flores, K. Qaka, I. Cioinac, Platini, P. Petre, Andrei Cristea.